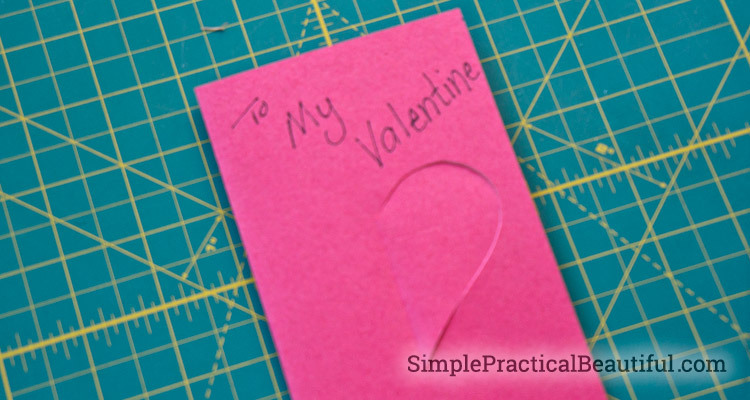 Here’s a short video showing how to make a simple Valentine card because Valentine’s Day should be more about the person you love than stressing over a complicated paper craft. 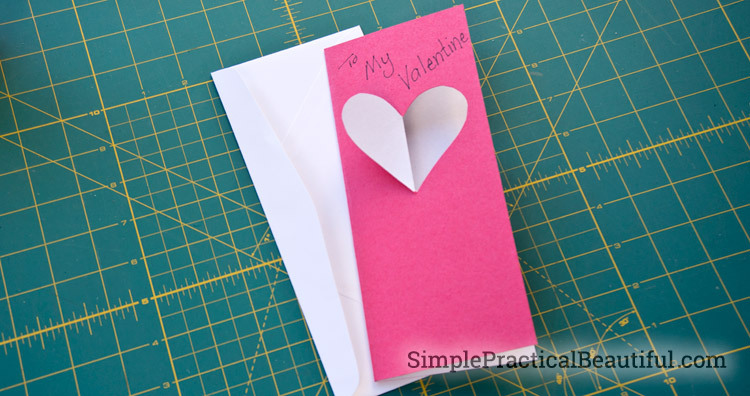 Here’s written instructions for how to make the Valentine card (Sorry about the blurry still pictures from the video). 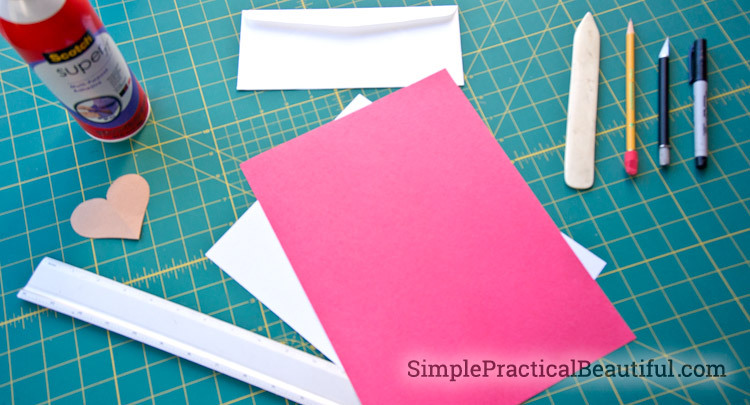 I used spray mount to glue a piece of red construction paper to a sheet of white copy paper. It doesn’t need to be even–the edges will be trimmed off. You can also find scrapbook paper that has different colors on the front and back. 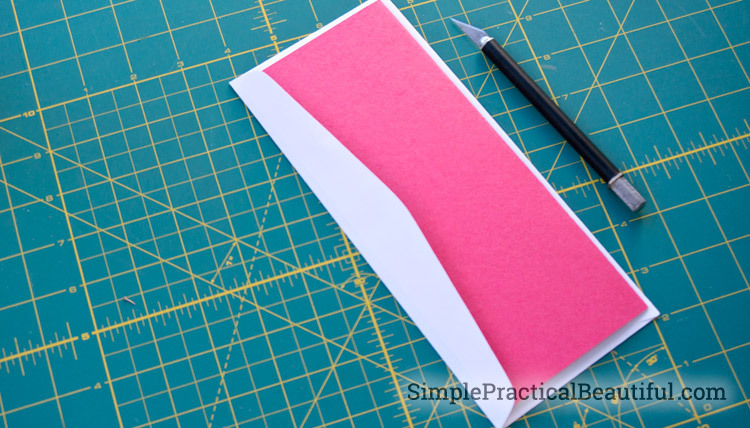 Fold the double-sided paper in half and trim it down to a little smaller than the envelope. Open the card, and place the heart stencil on the front side of the card. Cut out only half of the stencil (right or left side). 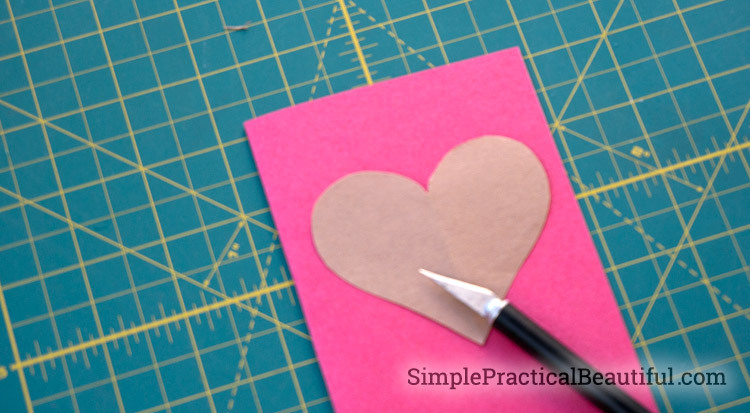 Use the bone folder to crease the heart in the middle. 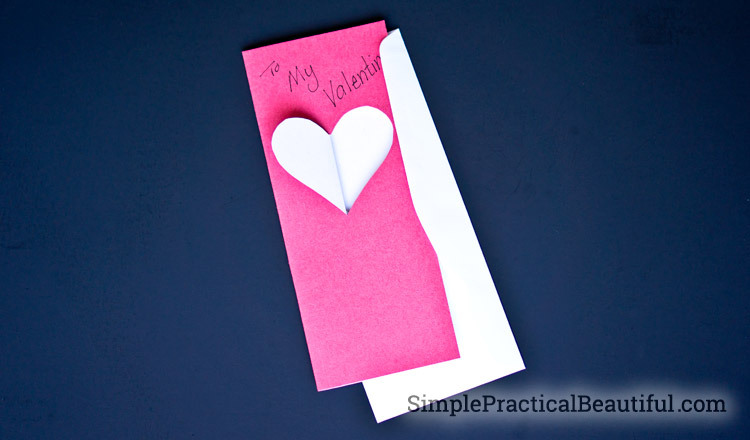 When folded open, the heart should be a whole heart, half of it the folded cover and the other half the inside of the card. Personalize your card however you would like, but be careful not to write on the inside where it shows through the heart on the cover. 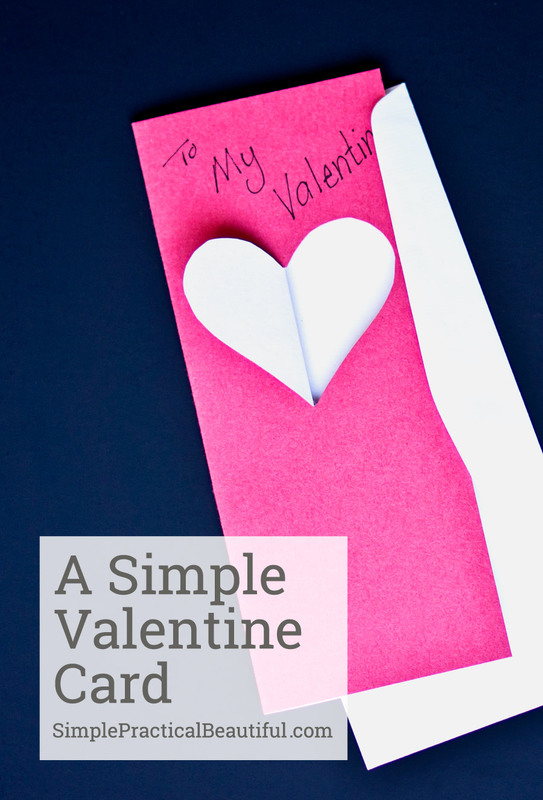 Making a personalized Valentine card doesn’t need to be stressful to be beautiful. Whatever you decide to make, be sure to enjoy your Valentine’s Day with your loved one. Like this idea? Click here to subscribe to Simple Practical Beautiful for more. This is so pretty. And I agree Rebecca it should not be stressful. I know that the recipient of the card will be happy that it was hand made. And the sentiments inside are what matter the most. Thank you, Mary! You are always so kind and encouraging. And thanks for having a fun Valentine’s party! Sometimes simple is just right, this is easy and very classy. Mom I think it’s awesome and I love you so much!????? I love you too, Jane.